In the heart of the North Woods, in Crow Wing County, lies the city of Brainerd, Minnesota. The county seat of Crow Wing County and one of the largest cities of central Minnesota, Brainerd has an approximate population of 13,500 and is a truly extraordinary spot to vacation or live in the North Woods. The Mississippi River flows directly through the heart of Brainerd. 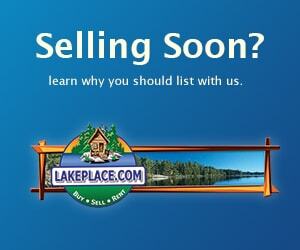 Area lakes include Gull Lake, Round Lake, North Long Lake, Gilbert Lake, Rice Lake and Perch Lake, to name but a few. Perch, northern pike, smallmouth bass, largemouth bass and walleye are plentiful in the waters of the lakes surrounding Brainerd, making this a perennial favorite for anglers seeking the perfect fishing destination. Boating, including canoeing, kayaking, speed-boating and water-skiing, is allowed on many of the area lakes. Visitors should be sure to double check for restrictions on particular lakes to ensure they are complying with the speed and noise ordinances as some lakes limit the use of speed boats and other motorized craft. For a great sense of community in the North Woods, Brainerd is an excellent choice. Area festivals such as the Lakes Bluegrass Festival bring locals and visitors from miles around to experience great bluegrass music and some tasty Minnesotan festival food. The Brainerd International Raceway hosts a national drag racing competition each year in August. While the outdoor recreation and natural beauty of the surrounding scenery make Brainerd a great place to visit, the health care options, educational establishments and excellent local government makes it a great place to live, as well. Real estate here is highly desirable and nicely situated and appointed properties are sure to move quickly, especially when located along a lakeshore. For those who are unable to find their perfect vacation home, never fear. With over 400 lakes in the surrounding area, there is sure to be the perfect lakefront lot available to build the perfect dream home in or around the Brainerd or Baxter areas. 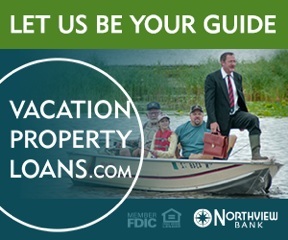 Tourism is a booming industry here in the North Woods and even if you are unable to live in your vacation home on a year-round basis, renting it out to prospective visitors is a great way to generate some income and utilize the property while you are not able to be there. Many years ago, the Brainerd and Baxter areas of north central Minnesota were populated by members of the Ojibwe Indian tribe. As history tells it, Brainerd was first observed by European explorers during the winter of 1805 when Zebulon Pike searched this region for the headwaters of the Mississippi. Fur traders and logging communities sprung up as more settlers moved into the territory, eventually leading to the establishment of Crow Wing Village, near Fort Ripley. European settlers and Native Americans inevitably clashed in battles for the region. The most famous example of their strained relationship is the 'Blueberry War' of 1872. According to historical accounts, two Ojibwe Indians were accused of murdering a missing girl and were consequently hung for this crime. While they were accused and hung, their guilt appears to be the subject of much debate and inquiry. Shortly after the hanging, a group of Native Americans approaching Fort Ripley were violently rebuked by armed troops, killing many in the process. Legend has it that this group of Native Americans had no intention of seeking revenge for the deaths of the other two Indians; they were merely trying to sell wild blueberries to the townspeople. Brainerd itself was named by Northern Pacific Railroad President, John Gregory Smith, after his wife, Anne Eliza Brainerd Smith, in 1870. The Northern Pacific Railroad built a great deal of infrastructure in the Brainerd region, which prompted others to virtually abandon nearby villages and communities in search of jobs and a thriving economy. Brainerd was officially established as a city in 1873. In the late 1800's and early 1900's, Brainerd's economy thrived due to the booming railroad, logging and paper industries. Due to the lore of the lumberjack here, the legend of Paul Bunyan continues to have an impact on this region. In fact, like Bemidji, Shelton and a variety of other Minnesota cities, Brainerd proudly claims Paul Bunyan as its native son. A national railroad strike in 1922 led to a great deal of local unemployment and dissatisfaction. As railroads became less important to interstate transportation and the logging communities depleted some of the natural resources of the area, Brainerd and the surrounding areas began to seek other means of keeping their economy afloat. With gorgeous old world forests, pristine lakes and streams and welcoming local communities, tourism was the logical choice. Today, Brainerd is a favorite destination for travelers from all over the world. Whether you are seeking a great vacation destination or a spot to call home for the rest of your life, be sure to check out the fabulous Brainerd, Minnesota! Several miles north of the point where the Crow Wing River combines with the Mississippi, lies the charming community of Brainerd, Minnesota. With picturesque scenery, abundantly stocked lakes, and relaxed pace of life, Brainerd is an excellent choice for individuals seeking a leisurely getaway or an extended relocation. Brainerd, located in Crow Wing County, Minnesota, is one of the largest cities in central Minnesota with an approximate population of 14,000. Conveniently located within a few hours of Minneapolis and Duluth, Brainerd is an excellent destination for a weekend getaway, extended family vacation or vacation home. What is now the city of Brainerd was once located in the heart of Ojibwe Indian territory. Conveniently situated on the shores of the great Mississippi River, Brainerd was established as a railroad and shipping center for transporting lumber, fur and other durable goods to other parts of the country. Brainerd's rich natural resources, lush scenery and plentiful jobs made it a beacon for settlers throughout the 1800's. In spite of their efforts to tame the territory, the relationship between Brainerd's new settlers and the Native American population was strained. This tense relationship ultimately sparked the famous "Blueberry War" of 1872 between the Ojibwe Indians and Brainerd residents. In July of 1872 two of the Ojibwe were hung after being accused of killing a local girl. When a group of Ojibwe Indians subsequently approached the town, the settlers presumed they were there to exact revenge for the lynching of their tribesmen. In reality, the Indians were coming into town to peddle wild blueberries to the settlers. Actual war was avoided, but the relationship remained tense nonetheless. On March 6, 1873, Brainerd was officially founded as a city. Throughout the late 1800's and early 1900's, Brainerd's industries of lumber and paper thrived. In fact, Brainerd claims to be home to the legendary lumberjack Paul Bunyan, a subject of many American legends and folk tales. While other area industries declined in the 20th century, Brainerd simultaneously emerged as one of the premiere tourist destinations in the great state of Minnesota, as it remains today. In Brainerd, great opportunities to explore the natural wonders of this region abound. For an aerial view of the majestic forests and scenic lakes, visitors can arrange to take a ride on a small plane high above the beautiful terrain. If you are looking for more direct contact with nature, hiking and biking trails are plentiful throughout the region. In fact, the 100 mile Paul Bunyan/Heartland Trail begins in the Brainerd area. Because a great deal of this trail is paved, it can be used for hiking, biking or in-line skating in warmer months and snowmobiling or cross country skiing in the winter. For aquatic leisure, rent a paddleboat, rowboat, canoe or kayak on one of the area lakes. Fishing in the surrounding lakes is plentiful and there are numerous species of native wildlife to observe. If you are interested in exploring the history of this beautiful region, Brainerd features a wide variety of options. Be sure to visit the Crow Wing County Historical Society and Museum, located in the former County Jail. Here visitors can view exhibits of Indian lore and artifacts of the settling pioneers. At the Mille Lacs Indian Museum, visitors can learn about the history of the Mille Lacs Band of the Ojibwe through dioramas, artifacts and interactive displays. The Franklin Art Center celebrates the pottery, paintings, photography and bead work of central Minnesotan artisans. A short drive away, families can learn about the extraordinary life of pilot and hometown hero, Charles Lindbergh, at the Charles Lindbergh Historic Site in Little Falls, Minnesota. In addition to many historical sights, Brainerd is home to a wide variety of family attractions and amusements. No visit to Brainerd would be complete without a visit to Paul Bunyan Land and This Old Farm Museum. Here, visitors can explore the legend and lore of Paul Bunyan and his larger-than-life Blue Ox, Babe. For thrill-seeking visitors, be sure to check out the Brainerd International Raceway, where spectators can enjoy both drag and road racing. If sight-seeing is more your speed, arrange for a ferry ride or even a dinner cruise on the Mississippi Belle of Brainerd, a historic paddle-wheel boat on the Upper Mississippi River. For adult travelers seeking a bit of revelry, the Grand Casino Mille Lacs is open round the clock for gaming amusement. 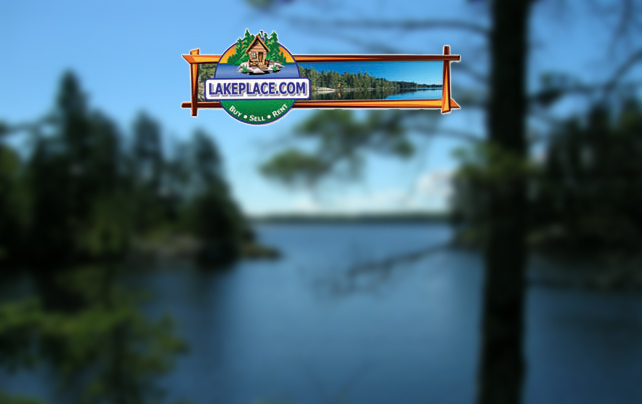 Regardless of what type of trip you are planning, the Brainerd area has the perfect accommodation choice for you and your family. There are numerous luxury resorts, hotels and bed and breakfasts throughout the region. Camping is also plentiful and there are many modern facilities for either tent or RV camping. For longer stays, consider renting, or even purchasing, a cozy vacation cabin in the woods. In Brainerd, great adventures, quiet charm and gorgeous scenery await you and your family. Plan your getaway today! Location: Brainerd is an important city located within the Crow Wing County in Minnesota. It is also the seat of the county and thus it has political and strategic significance for the region. This city is located in the central Minnesotan region and is a part of the Brainerd Micropolitan Statistical Area, which includes the neighboring Cass County. Importance: The location of the city on the banks of the River Mississippi is what promotes its great tourism industry. This area and the area surrounding it is a part of the Brainerd Lakes area, an area that includes a large number of lakes, each with a valuable amount of tourist significance. The majority of the area of Brainerd is a pine forest area. Brainerd also has an important cultural significance. Paul Bunyan is considered to be a native of Brainerd and the majestic Paul Bunyan Trail includes parts of Brainerd. There is the talking Paul Bunyan installed here at the eastern end of This Old Farm. Brainerd has commercial importance also. It is an important city as regards the service sector, retail department, manufacturing sector and various other professional services. Today, Brainerd is a railroad center because of its strategic location. It has various repair shops needed by the railways. 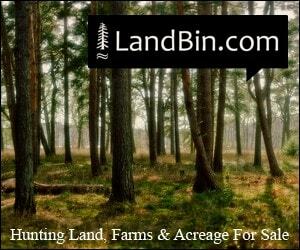 It also specializes in agriculture besides its various occupations. Agriculture forms a dominant sector of the economy. Some of the important crops grown here are alfalfa and oats. Dairy farming is practiced to a significant extent also, and so is poultry farming. Other primary sector industries that are popular in Brainerd include lumbering and wood manufacturing. Size and Other Specifications: The city of Brainerd occupies 8.4 square miles of area, which is largely terrestrial. Only about 0.5 square miles of the area of Brainerd is occupied by water. The city is elevated at 1,217 feet. As of 2000, there were 13,178 people living in Brainerd, within 5,623 households. More than 95% population of Brainerd is white American. The number of married couples living in Brainerd is quite low, at about 36% of the total population. Most of the income for Brainerd comes from tourism due to its close proximity with the lake-ridden nearby cities of Crosslake and Nisswa. Attractions: The main point of attraction in Brainerd is the proximity to the lakes, included in the Brainerd Lakes Area, which always sees a large number of tourists in the spring to fall which are the peak seasons. The people here indulge in fishing and boating, which are the prime activities. Fishing for bass, walleye, pike and other varieties of fish is carried on in a large scale in Brainerd. Boating and cruising are highly popular activities throughout the lakes area. The cruise boats are usually not very big, though a few of them can accommodate up to hundred people at a time. The cruises move along idly on the chosen lakes as the people party on the deck. 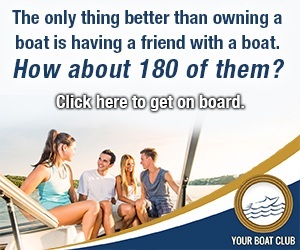 Vacationers use these cruises for arranging family get-togethers and also arrange celebrations for birthdays and wedding anniversaries on the decks of these cruising boats. There are several boats plying on the waters of the various lakes of Brainerd and so it is generally not necessary to book them in advance. In the peak season, though, booking can be a good idea especially if there are a large number of people planning to go on a cruise together. Apart from that, Brainerd is a haven for golfers also, with about 520 holes present on scores of golf courses. Nature lovers find paradise here, especially on the Paul Bunyan Trail, which stretches to 100 miles and takes the visitor through forests, lakes and rivers. Another sport that is popular in the Brainerd Lakes region is hot air ballooning which allows people to move over the entire region checking out its lakes and sylvan beauty. Some other attractions for family vacationers that visit this area include parks with several interesting features such as racing cars and simulated mineshafts. Brainerd is also famous for its 4th of July Independence Day celebrations. Several events are simultaneously celebrated on this day, including Gospel Night music, Arts in the Park, a parade and various other forms of entertainment. Other places of tourist interest in Brainerd include the Franklin Art Center which has displays of paintings, stained glass works and pottery. The Crow Wing County Historical Society and Museum is located here too, which gives a good insight on the way ancient people lived their lives here. The Charles Lindbergh Historic Site and the Grand Casino Mille Lacs are other places of tourist interest. Living Facilities: Hotels are found in most of the Brainerd area, but the greater tourist flow is directed at the resorts present mostly near the lakes. The resorts have their own fishing tours and golf courses to keep people interested. People also look at lake properties as vacation homes and there is a thriving real estate business for both new and lived-in properties in the region.